Make people SMILE with customized corporate gifts & awards made from LEGO® Minifigs and Bricks! At MINIFIGLABS, we don’t just design & print - we create tailored ideas & solutions for your perfect gift. Established since 2013. A diverse group of designers, animators and production engineers, we’re masters of the LEGO® art style and customization. Every member of our team is fully immersed in the entire process from designing to printing. We’ll go the extra mile to understand your unique needs. We’ll make sure your creations blend in seamlessly with existing LEGO® minifigures and sets. Typically 5~6 weeks. If we have the parts in stock, then 3~4 weeks. Our prices vary based on many factors including quantity, colour, packaging, shipping and more. Use the free eBook to get ideas on possibilities for your company, then contact us for specific pricing for your needs. Kindly refrain from using prices on our online store for reference as corporate rates differ. What options do you have for packaging and presentation? Check out the various options available here. • Custom Printing for LEGO® Bricks, Plates, Tiles. Is your printing sustainable for the environment? 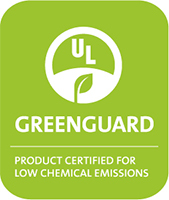 The ink we use are GREENGUARD and GREENGUARD Gold certified. The certification ensures that the ink has met some of the world’s most rigorous and comprehensive standards for low emissions of volatile organic compounds (VOCs) into indoor air, and is acceptable for use in environments such as schools and healthcare facilities. Our ink is also scratch-proof, of course unless you attack it with a sharp object such as a pen knife.